Local Trust - Summer blog series: Comments welcome! Summer blog series: Comments welcome! This month we’re launching a new series of thought-provoking summer blogs from a range of viewpoints as part of the Empowered Communities in the 2020s project. The project asks what communities need to thrive in the coming decades, and each of our blog authors will offer their own interpretation and vision of the future. We already have some exciting authors lined up including Permaculture Association, Sheila McKechnie Foundation and New Economics Foundation, with many more in the pipeline. 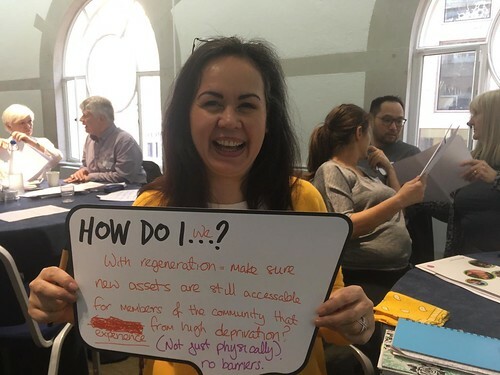 ‘Empowered communities are the bedrock of our society’ from Daniel Goodwin, Empowered Communities in the 2020s steering group member and Local Trust Trustee. ‘Safety, the state and public services: necessities for empowerment?’ from Rachel Shanks, Empowered Communities in the 2020s steering group member, who teaches on the Postgraduate Diploma in Community Learning and Development (CLD) at the University of Aberdeen. ‘Refugee integration: a key component of community empowerment’ from Matthew Rogers, Marketing and Communications Officer at Ashley Community Housing. ‘Why communities already have everything necessary for systemic change’ from Nathan Ardaiz, designer & facilitator at AzuKo. ‘We need new forms of partnership with revived public services’ from Gabriel Chanan, Director at Health Empowerment Leverage Project. We’ve opened a comments box for each of the blogs, so that you can easily share your reflections on what our authors have to say. Public engagement is at the heart of the Empowered Communities project and we will be sharing comments on Twitter with the hashtag #Empowered2020s. If you are interested in writing your own blog on this topic please get in touch with Lindsay at Lindsay.Street@localtrust.knightstudiosdevelopment.com or 020 3588 0575.